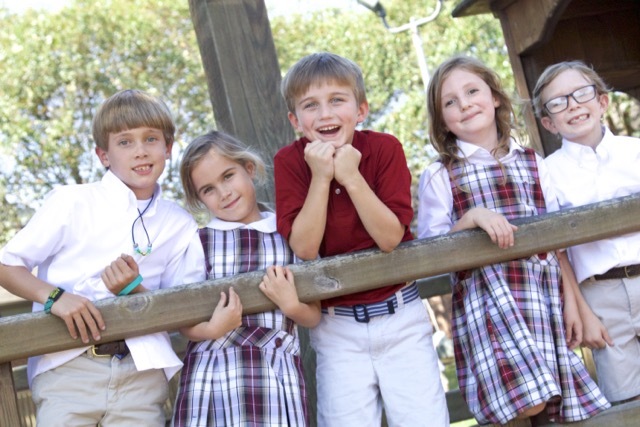 Porter-Gaud is an Episcopal, coeducational, independent, college preparatory day school. We acknowledge the sovereignty of God, recognize the worth of the individual, and seek to cultivate a school community that endows its citizens with a foundation of moral and ethical character and intellect. Porter-Gaud fosters a challenging academic environment that honors excellence in teaching and learning, respects differences, expects honesty, and applauds achievement. The school strives to create an environment that nurtures and protects what we value most in our children: their faith, their curiosity, their talents, their integrity, their humanity, and their dreams. At Porter-Gaud, we know our youngest learners thrive in a caring, family-centered community that provides plenty of opportunities for parents to get involved. From dropping by to join your child for lunch to participating in community service projects, our parents are an active presence on campus. These early years lay the foundation for lifelong success, and our dedicated teachers are committed to instilling confidence and cultivating essential skills in literacy, mathematical thinking, and scientific exploration. Starting in first grade, your child will study two world languages, take a lab-based science class, use innovative technologies to accelerate learning, and participate in a vibrant performing arts program. Small classes and a flexible, student-centered learning approach allow us to meet the needs of the whole child and understand how he or she learns best. Our first graders spend their days in a sunlit, self-contained building featuring four welcoming classrooms and a large common area for group activities. With a student-to-teacher ratio as low as 10:1 in core academic classes, our first grade meets children where they are and allows them to move at the pace that is right for them. For students in grades 2-4, our Lower School is a springboard to self-discovery. Our teachers and administrators truly know each child and how he or she learns best. We seek to inspire young learners, encourage their curiosity, and empower them to grow, explore, and develop confidence and skills. Our nurturing and stimulating environment features numerous hands-on collaborative learning experiences. Classes are rooted in real life and build on our students’ desire for active participation and their need for individualized attention and support. Our children are growing up in a multicultural and globalized society, and Porter-Gaud gently prepares them to navigate an increasingly complex and interconnected world. All Lower School students study Mandarin Chinese and Spanish, and character education is woven throughout our curriculum to reinforce positive behaviors and build good habits and strong character. 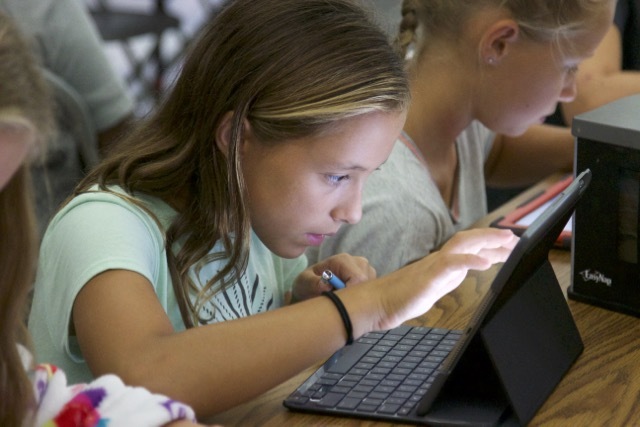 Outside the classroom, students participate in our Extended Day Program, enroll in enrichment classes such as Lego Stop Motion Movie Making, Adventures in Engineering for Girls, and Robotics, and challenge themselves in developmental sports clinics. Students don’t just succeed at Porter-Gaud, they thrive. Click here to see pictures from a year in the Lower School. When you step into Tyler Hall and S&T, the heart of the Middle School, the energy is palpable. Capitalizing on the enthusiasm and curiosity of these adolescent students, our faculty design hands-on, student-centered learning experiences. On a typical day, you might see students testing roofing materials on model houses as they discuss solar energy; hear students debating cultural topics in one of four languages as they expand their global horizons; feel students supported through our carefully aligned writing program as they begin to find their own voice; and experience the passion of students solving problems of the future logically through their understanding of mathematics and holistically through their learning from the past. When our students step on the theater stage or put on their Cyclone jersey, we help them see themselves as part of something bigger, something special. We see the students both for who they are, and with an optimistic lens, for who they are becoming. We know our children. At this crucial and impressionable age, we know what makes them engaged, what they dream of, and what challenges them. Our community embraces our heritage of perseverance and character from 1867, seeking ways to live out the philosophy established by the Rev. Dr. Anthony Toomer Porter. When our students complete their Middle School journey, we celebrate their grace, their curiosity, and their independence. 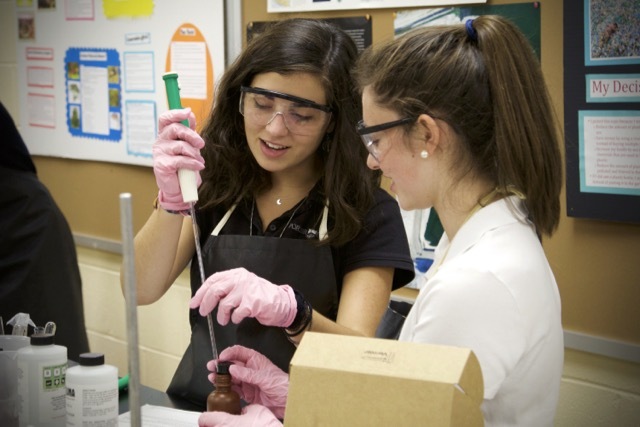 Upper School represents a defining period in our students’ lives. Having successfully navigated the academic and time management challenges of the middle grades, students intensify their studies and co-curricular activities in preparation for college selection. A rigorous academic program is delivered by passionate, professional educators, who incorporate critical-thinking, analytical, and problem-solving skills into daily lessons. College admission orientation begins in ninth grade, and by their junior year, students meet individually with college counselors and advisors to build the best fit for the next phase of their journey. Athletics take a sharper focus as student-athletes refine life’s recipe for success: teamwork, grit, and perseverance. As graduation approaches, students mature into confident, capable young adults with lifelong friendships, impressive academic footings, and solid foundations of social, emotional, spiritual and intellectual health. Our students leave aware of their gifts and talents and are passionate about sharing them with the world. Porter-Gaud School admits students without regard to race, sexual orientation, color, national, religious or ethnic origin to all the rights, privileges, programs and activities generally accorded or made available to students at the school. The school does not discriminate on the basis of race, sexual orientation, color, national, religious or ethnic origin in administration of its educational policies, tuition assistance programs, athletic and other administered programs.